Do weekend warriors get the same health benefits as people who regularly work out? 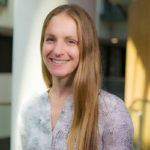 Hannah Arem, Assistant Professor of Epidemiology and Biostatistics at Milken Institute School of Public Health at the George Washington University, discusses this question. Dr. Hannah Arem is an Assistant Professor in the Department of Epidemiology and Biostatistics. Her research interests are in lifestyle and cancer outcomes. Specifically, Dr. Arem focuses on physical activity and cancer survivorship, with an emphasis on dissemination and implementation research. Before joining the GW Milken Institute School of Public Health, Dr. Arem completed a American Association for the Advancement of Science, Science and Technology Policy Fellowship at the U.S. Agency for International Development, focusing on implementation research in global health. Dr. Arem completed her Master of Health Sciences at Johns Hopkins Bloomberg School of Public Health, her Ph.D. in Chronic Disease Epidemiology at Yale University School of Public Health, and performed her pre- and post-doctoral fellowships at the National Cancer Institute. The U.S. Department of Health and Human Services recommends that adults get at least 150 minutes of moderate-intensity exercise each week. But for some people, a daily 30 minute walk or a few trips to the gym are hard to fit into a busy work week. Instead, they are relatively inactive on weekdays, and then embark on a fitness frenzy on the weekend. A recent study using data from the U.K. shows that these so-called weekend warriors get nearly the same mortality benefit as people who work out more frequently. The U.K. study showed that both people who exercised less than 150 minutes per week and the weekend warriors had a 30% lower risk of dying compared to people who did not exercise. This means that weekend warriors are getting a significant health benefit even when compressing their activity into a single day or two. The additional benefit for people who worked out regularly was relatively small, with a 35% lower risk of death compared to the inactive group. However, this new study doesn’t spell out the optimal dose of physical activity in terms of total time, frequency or intensity. It’s important to note that these weekend warriors averaged double the recommended activity level. Other research suggests that people who walk, jog or otherwise work out more frequently may be getting additional health benefits, such as a lower risk of depression, type 2 diabetes or injury. Also, even if people meet the recommended physical activity minimum, sitting all day may be harmful to one’s health. We need more research to further refine the physical activity guidelines. But for now, the best advice may be to get out and move; do it as much as you can, on most days of the week.